Today In 2013 Television in considered the main media in the world. From a couple of decades Television has become the main source of getting the information around the world. Thousands of TV Channels has came into existence in last decade which are viewed everyday by billions of people to get latest news, Entertainment and different type of knowledge. if we go some decades behind we will find that Newspapers where considered main media that time. Everyday people used to wait for the newspaper to come so that they read the latest news. But do you know what is media of future? Yes it is Internet. In the next few years Internet will become the main media around the world. If we see last 3,4 years we will found that Internet users has grown on a very rapid rate. In December 2014 Internet users will be reaching the 3 Billions. Today Internet is also taking away the Viewers of TV and providing people all that what they get from Newspapers and TV on one place at a very low cast. Most of the Analysts completely agrees to this view that Internet is going to be the media of future. Role of social media is also increasing day by day. 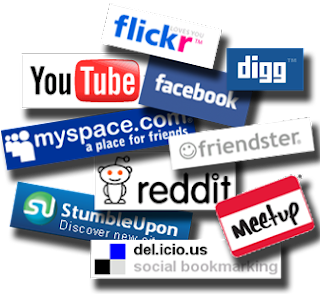 More and more people are getting information through social sites like Facebook, Twitter, Google Plus. However the demerit of Internet is that the information that it contains is not as authentic as of TV and Newspaper and the reason for this is that any person can post anything on Internet. Any Person can create a News Website and starting publishing according to his personal views on it.